Grand Prixview: What’s at stake in Khanty? The fourth and final stage of the 2014-15 FIDE Grand Prix begins on Thursday, and by the time it’s over we’ll know two players who will join Vishy Anand in the 2016 Candidates Tournament – the qualifier to play a World Championship match against Magnus Carlsen. 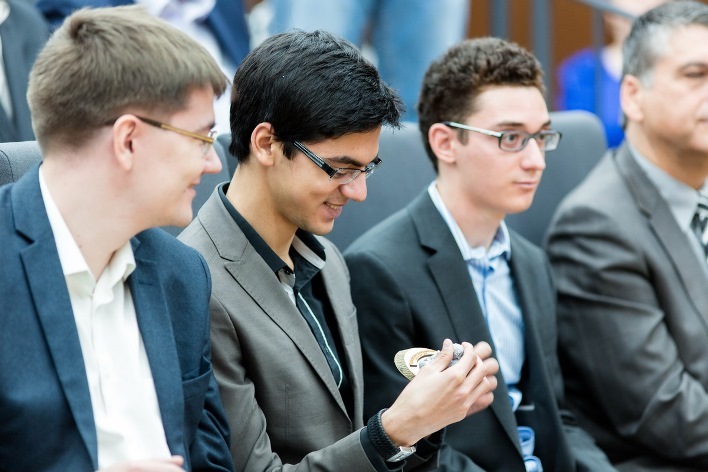 New soon-to-be US teammates Fabiano Caruana and Hikaru Nakamura are among the favourites, but every player competing in Khanty-Mansiysk has at least a mathematical chance of qualification! The Khanty-Mansiysk Grand Prix is a 12-player, 11-round tournament that starts tomorrow at 12:00 CEST. Let’s follow up on Jan's work by taking a detailed look at how players can qualify for the 2016 Candidates Tournament. Tomashevsky is still the frontrunner, but his predicted chance of winning is lower than Nakamura or Caruana’s due to his rating – a big factor in the simulation of final outcomes. 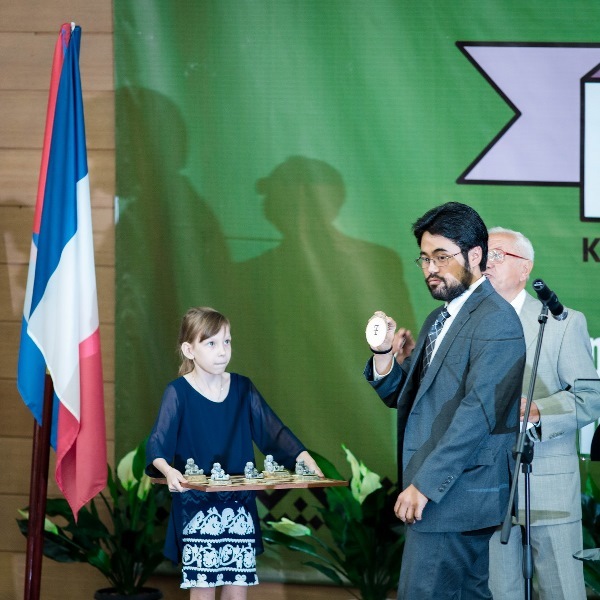 The chances of winning the Grand Prix are only part of the picture when it comes to Candidates Tournament qualification, though, so to explain some of the players’ motivations in Khanty-Mansiysk we have to look at other possible routes to qualification. You can see that Giri and Grischuk, whose chances of finishing in the Top 2 of the Grand Prix series are slim, might actually be keen to see Caruana and Nakamura win the Grand Prix series! That would remove two of their closest ratings rivals from the race while, in contrast, a Grand Prix victory for Tomashevsky and Gelfand would be their nightmare scenario. We can see there that Nakamura has moved ahead of Grischuk and Kramnik ahead of Giri, but of course Grischuk and Giri's ratings and hence any predictions based on them are likely to change in the next two weeks. Of course the players in Khanty-Mansiysk also have a vested interest simply in increasing or maintaining their ratings during the Grand Prix. Just to confuse matters still further, it’s worth pointing out that 3rd place in the Grand Prix series might still be enough. 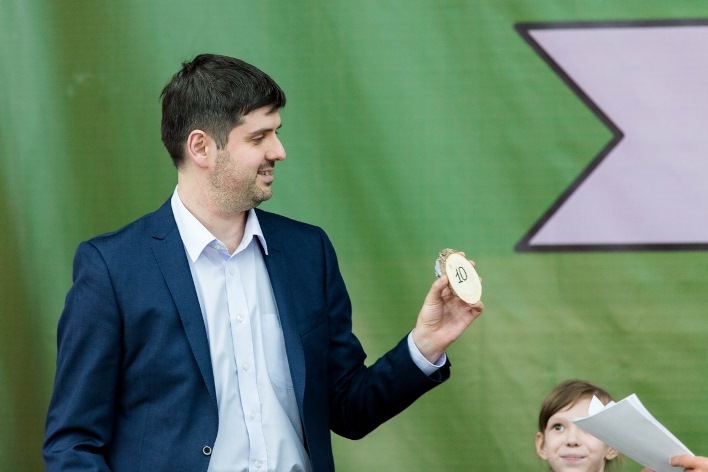 All that would require is for one of the Grand Prix qualifiers to get to the final of the World Cup – or for a qualified Candidates Tournament player to withdraw for any reason. 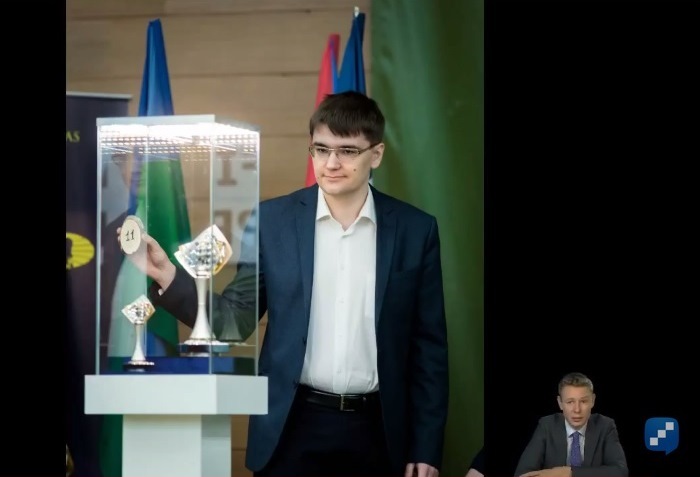 Another point of note is that Kramnik and Aronian’s chances of qualifying for the Candidates Tournament now seem to lie – barring a ratings surge or a wild-card nomination – in the 128-player World Cup knockout in Baku this September. Vladimir did manage to win in Tromsø in 2013, but it’s a very tough trick to pull off even once, never mind twice in a row. The same seems to apply to Wesley So, with US Championship Chief Arbiter Tony Rich no doubt hoping the ratings points the young player lost when he was forfeited against Varuzhan Akobian don't later make a crucial difference.